Native to Western North America, California poppy blossoms in the spring and summer months. Producing vibrant orange flowers, California poppy is celebrated as the national flower of the state of California and is often referred to as a cup of gold. Used historically for toothache and to heal wounds, the herb is most famous for its action on the nervous system, having sedative, hypnotic, anxiolytic and analgesic properties. The medicinal use of the herb was adapted from the Native Americans, and although a distant relative of the opium poppy, California poppy can be safely used without inducing narcotic effects. The petals of California poppy are not only easy on the eyes, these aerial parts of the flower are what makes the herb medicinally so special. The flower contains alkaloids, a chemical component which effects serotonin and GABA neurotransmitters in the brain. Current research in human and animal models have shown that alkaloids are beneficially used for reducing insomnia, pain, and anxiety. The relationship with opium poppy also interests researchers, because there are possible anti-microbial, anti-inflammatory and anti-cancer effects. The petals of the California poppy close in the evening and open again as the sun rises. With a regular sleep-wake cycle, it is interesting to note that California poppy can help to regulate our own sleep cycle; the circadian rhythm. 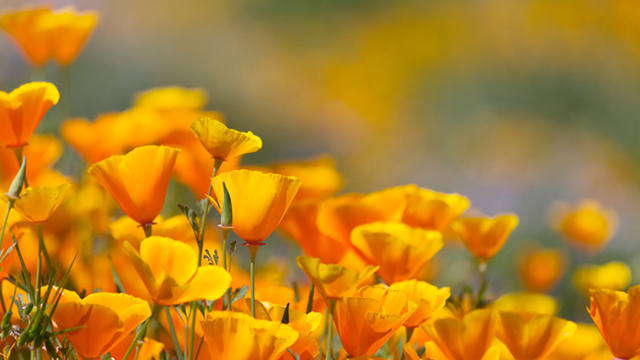 California poppy is relaxing and calming by nature. Taken at a medicinal dose, it can reduce the time it takes to get to sleep, and reduce restlessness during the night, both physically and emotionally, helping us find that elusive off-switch from a busy mind. Used for acute or chronic conditions, California poppy is a safe and effective analgesic which has no addictive qualities. This poppy helps to reduce pain without producing a sense of euphoria. As sleep deprivation can hinder the healing process, increase fatigue and influence our moods, California poppy is a wonderful herb to combat pain-related insomnia. California poppy has been used historically to nourish the nervous system, working as an anxiolytic, with no side effects. A clinical trial treated individuals with generalised anxiety disorder with California poppy, hawthorn and magnesium. After three months, there was reduced anxiety. 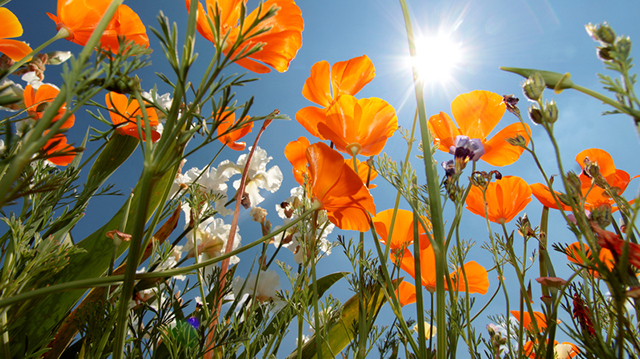 The study concluded that California poppy was a beneficial medicine for mild to moderate anxiety. Keep your eye out for California poppy this spring as she begins to bloom into the summer months. With a gentle, healing nature and ability to bring the body back to equilibrium, California poppy can give you and your family the support you need to bounce back after winter. She truly is a herb worth becoming acquainted with for helping provide natural sleep support.